The application forms are available on this site from the date of advertisement for the respective batch and type of entry. Candidates applying for more than one type of entry are required to submit separate applications. However, only one application form is to be filled for a particular entry. Choice of entry is to be clearly indicated on the application form. You can apply only for one entry between MR (Chef / Steward / Sanitary Hygienist) in a batch. All applications for AA and SSR, MR, MUS are to be addressed to the authority promulgated. There is no agent for dispatch of applications. 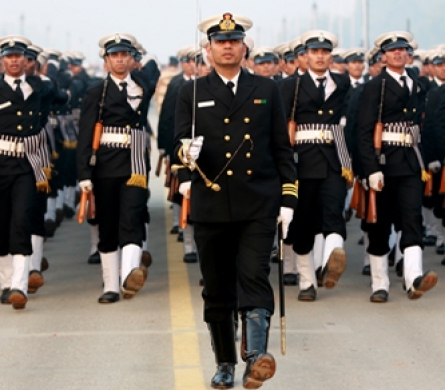 Candidates are advised to avoid agents who make promises of getting them a job in the Indian Navy. Applications are received only through Ordinary Post. Applications received through speed post/ registered post or couriers are rejected. Eligible shortlisted candidates are sent Call-Up letters, indicating date, time and place for examination. The shortlisted candidates can also download their admit card from this website. SELECTION PROCEDURE FOR MR (MUSICIAN) ENTRY ADVERTISEMENTS. The application form is published in the important Newspapers which may be used. The form in the prescribed format may be typed on plain paper or downloaded from this website. The application forms will be available on this site from the date of advertisement. Only one application form is to be filled for a particular entry. Choice of entry is to be clearly indicated on the application form. There is no agent for dispatch of applications. 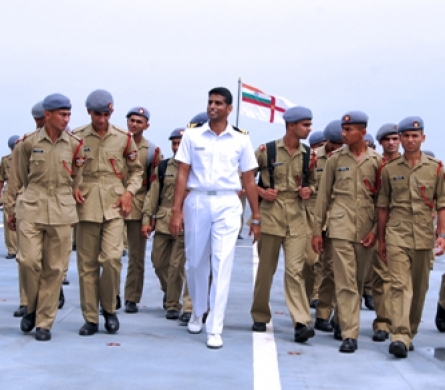 Candidates are advised to avoid agents who make promises of getting them a job in the Indian Navy. Applications are received only through Ordinary Post. Applications received through speed post/ registered post or couriers are rejected. The candidates applying should have proficiency in western notation, aural aptitude, knowledge of Theory of Music and actual practical skill on any musical Instrument. TYPE OF INSTRUMENTS ON WHICH PROFICIENCY REQUIRED. The candidates applying should have proficiency in playing String/Key-board/Woodwind/Brass/ Percussion Instruments both of Western and Indian Origin. Application is to be filled in capital letters with one recent Passport size photograph pasted at the top right corner and one spare recent Passport size photos with the candidate's name written on the reverse attached along with the form (In the absence of recent photograph candidate will not be allowed to appear in the examination). Eligible short listed candidates will be sent call-up letters, giving date, time and place for preliminary screening to select suitable candidates based on their musical aptitude, potential and aural ability. Those who qualify the preliminary screening will be required to undergo a Physical Fitness Test (PFT) and medical examination. PFT will consist of 1.6 Km run to be completed in 7 minutes, 20 squats (Uthak Baithak) and 10 Push-ups. Candidates undergoing PFT will do so at their own risk. Those who qualify preliminary screening are permitted to undergo PFT and only those who qualify PFT undergo Medical Examination. Entry level Medical examination will be conducted by authorised military doctors as per medical standards prescribed in current regulations applicable to Musician sailors on entry. Candidates declared Temporary unfit during Medicals in the recruitment medical examination can avail specialist review from the specified Military Hospital within a maximum period of 21 days. No further review/ appeal is permissible. Those candidates who are declared Permanent unfit during Medicals can appeal for specialist opinion in a Military Hospital on payment of Rs 40 by Military Receivable Order (MRO) in the Government Treasury within 21 days. Medical fitness certificate from other than that of the specialist opinion in the designated Military Hospital will NOT be considered. This whole process of initial medicals is generally completed on the same day but it may also take 3-4 days, depending on the Service requirements or due to unforeseen contingencies. Medically fit candidates will be called on a designated date to INS Kunjali, Colaba for final screening and selection on an all-India basis. 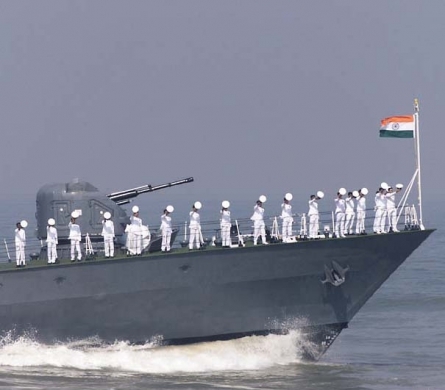 After final selection, selected candidates will undergo final enrolment medicals at INHS Asvini and sent to INS Chilka (Odisha) for initial training. Candidates found unfit during this medical examination will not be enrolled for training. No appeal is permitted for review after the final enrolment Medical at INHS Asvini. Candidates who send more than one application for the same entry or apply for more than one examination centre will be disqualified. The candidature of candidates selected is valid for the current batch only. All India Merit List pertaining to the advertised batch is valid ONLY for the advertised batch. Qualified candidates whose names do not appear in the final merit list cannot claim admission for the next batch. These candidates will have to undergo the selection procedure afresh provided they meet the eligibility criteria for the fresh batch. Navy reserves the right to shortlist applications and to fix cut off-percentage without assigning any reason. No communication shall be entertained on this account. 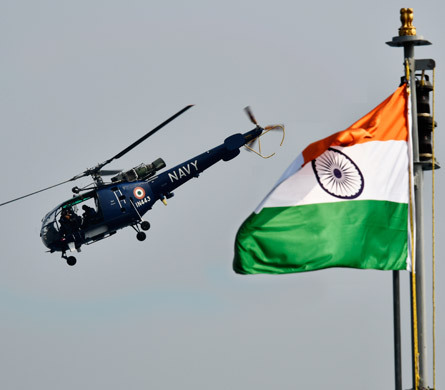 Applicants declared Permanent medically unfit by any Armed Forces Hospital in previous recruitments for the same entry in Navy are advised not to apply.